Timing is critical. To schedule a FREE consultation with an attorney, tell us about your case so we can start helping you right away. 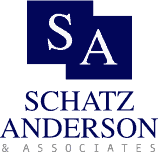 The Salt Lake and St. George Criminal Defense Attorney team of Schatz, Anderson & Associates handles all kinds of criminal cases, from minor infractions and misdemeanors to the most serious felony offenses. We provide representation during all stages of the criminal process from the initial investigation to post conviction appeals. If you have been charged with a crime, it is vital that you have a dedicated and knowledgeable Salt Lake criminal attorney working for your defense. A skilled defense attorney can identify potential defenses to your case and raise those defenses in court. The criminal process can be complicated and intimidating, and the consequences of a conviction can be severe. Penalties for a criminal conviction can include fines, counseling, community service, loss of driver’s license or professional licensure, probation, jail or even prison. Don’t take any chances with your freedom, call us now at 1-888-475-2384 to schedule your FREE, no-obligation consultation with one of our Salt Lake Criminal Lawyer team members.